It is estimated that over 30 million people worldwide have now attended an Alpha course, an opportunity to explore the meaning of life, in tens of thousands of churches of all types across the world. Alpha is a very popular introductory course to the Christian faith. It lasts for 11 weeks, on Thursday evenings, with a day away in the middle. Each session begins with a meal – a chance to get to know others. – There is then a short presentation of a different aspect of the Christian faith. This is followed by a time of discussion in groups of 8-12 people where everyone is welcome to contribute their opinion, ask questions and discuss with the rest of the group if they wish – or just listen to everyone else. The emphasis is upon exploration and discovery in an informal and no-pressure environment. 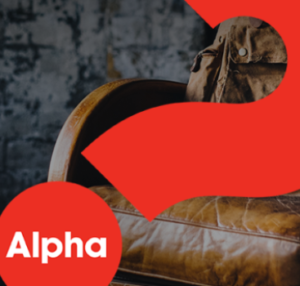 To enquire about the next Alpha course e-mail the church office or call (01642) 783814.